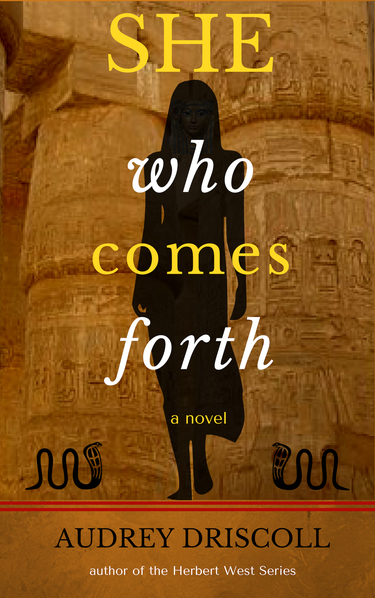 Now that She Who Comes Forth is fully launched, it’s your last chance to buy the ebook at the special pre-launch price. By next week, you’ll have to part with another dollar or so. I’m also making price changes to two of the books in the Herbert West Series. So if you’ve been meaning to acquire The Friendship of Mortals, make haste. On the other hand, if you’re curious about its sequel, Islands of the Gulf Volume 1, The Journey, make a note to check it out next week. A while ago, I read a couple of posts about creating infographics to promote books or enhance blogs. Being a keen user of Canva for the past couple of years, I suspected they had templates for that. They do — lots of them, including many free ones. Here’s an infographic for my book series I whipped up using one of the Canva templates. I changed the background and text colours, and, of course, the text and pictures. It really was quick and easy.